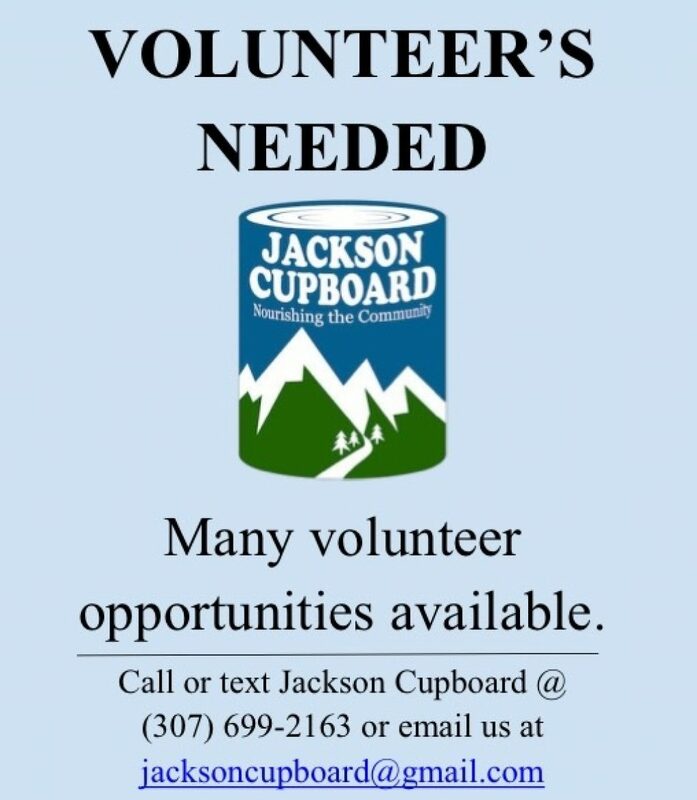 If you would like to volunteer for any of these positions and/or host a food drive, please contact Rachel Daluge, Operations Director at 307-699-2163 or email her at jacksoncupboard@gmail.com. 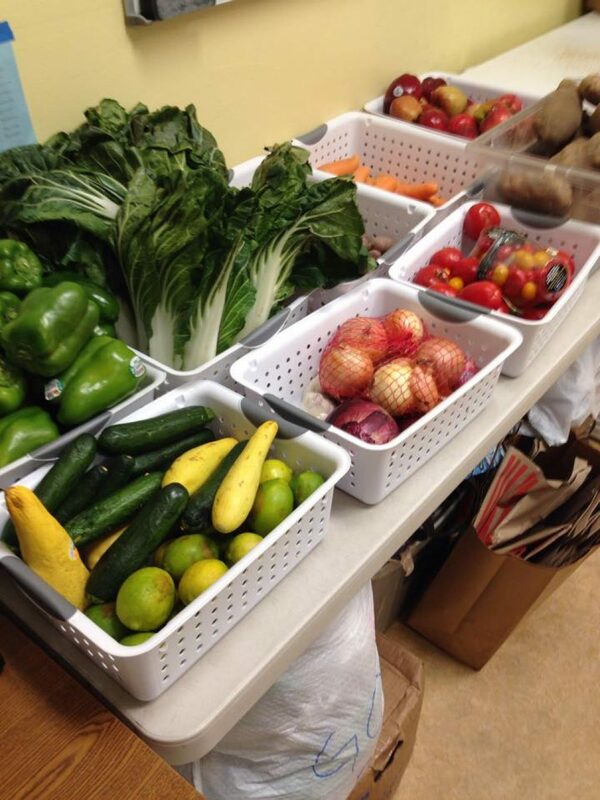 Grocery Pick Up- reliable vehicle to pick up product and heavy lifting to bring product downstairs to the Cupboard. 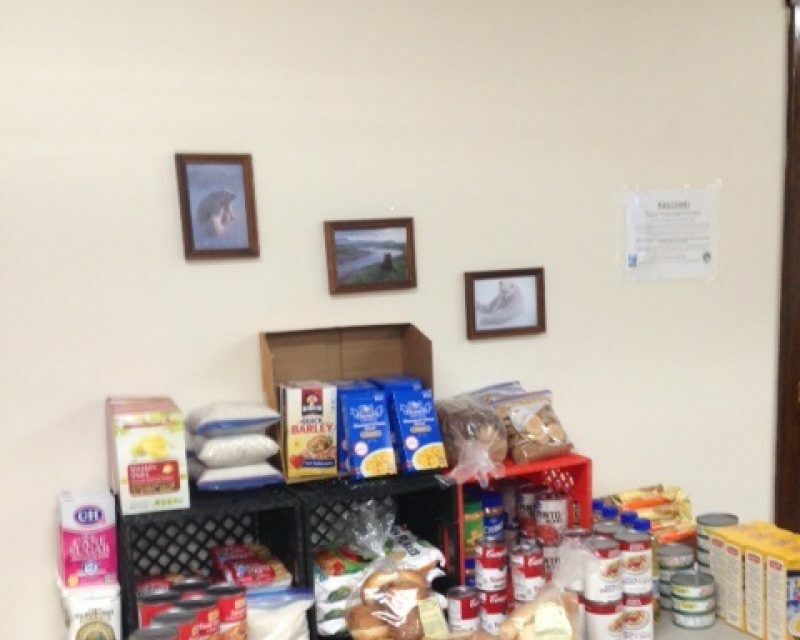 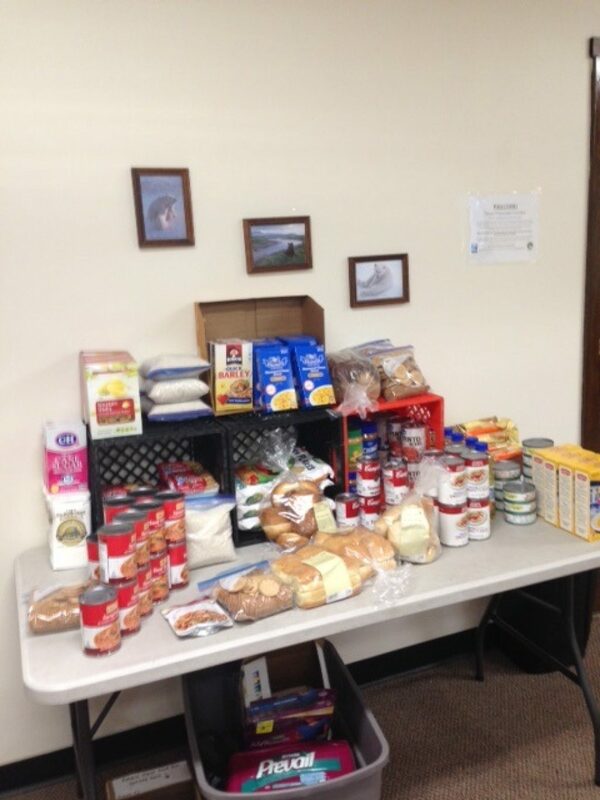 The Jackson Cupboard provides essential, nutritious, food for our community members in need. 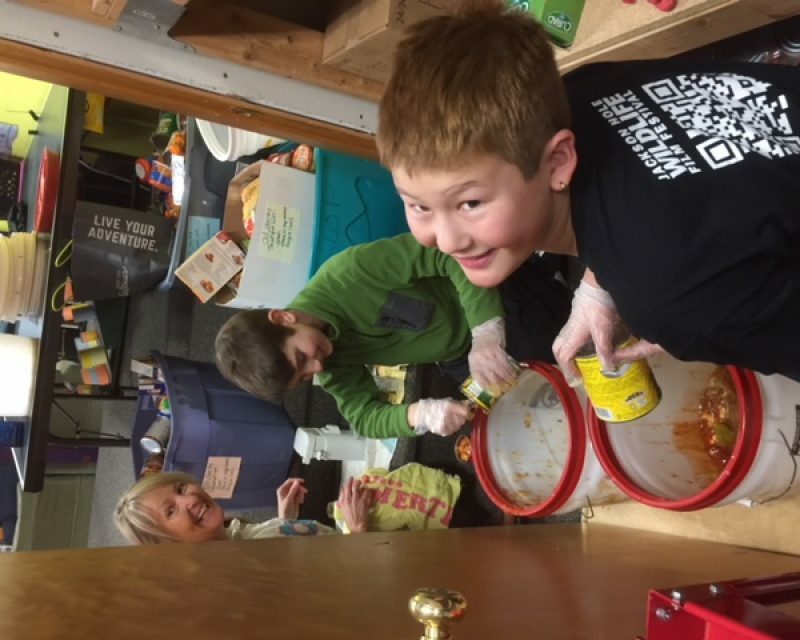 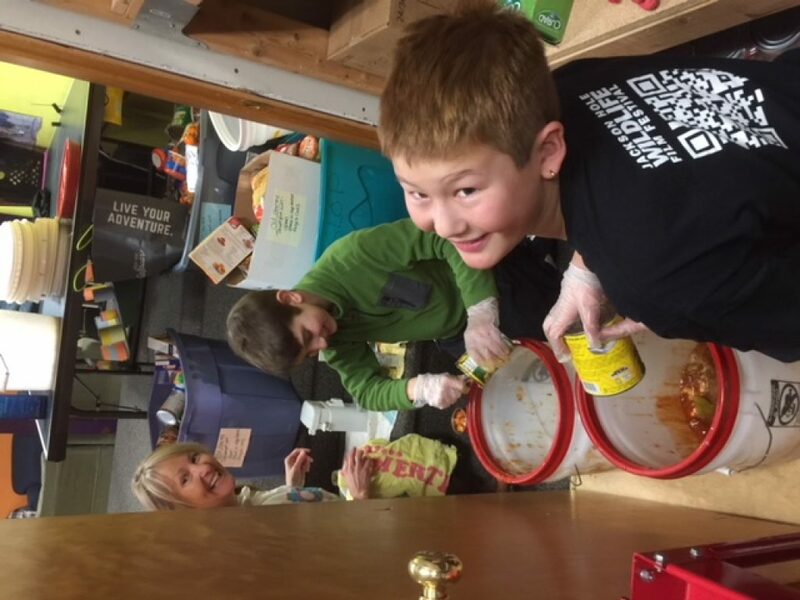 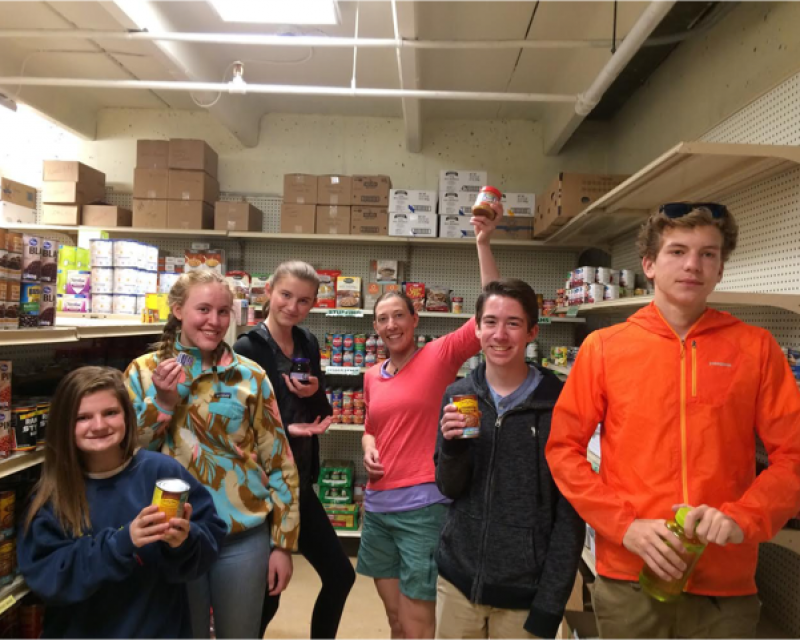 The Jackson Cupboard is a food bank that opened its doors in 2001 and has been serving the Jackson community since that time. 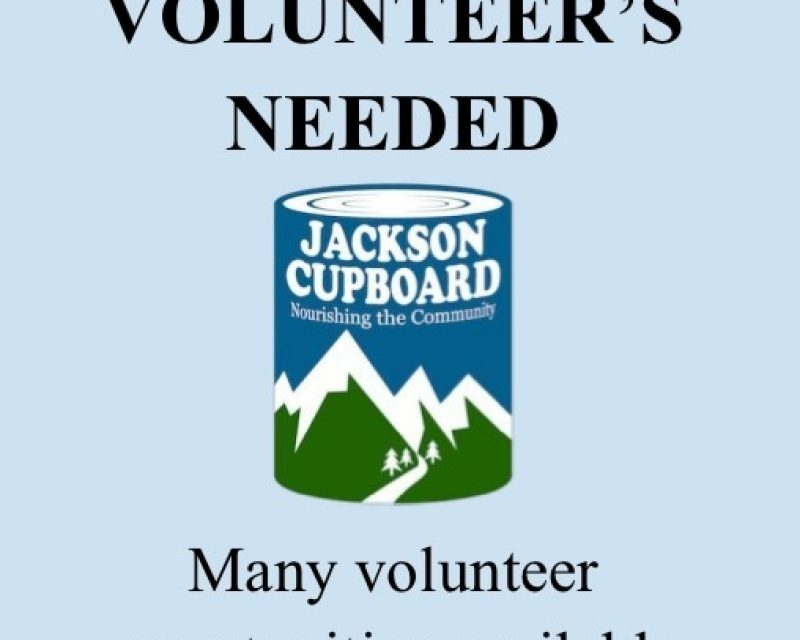 It is a non-political, non-religious organization. 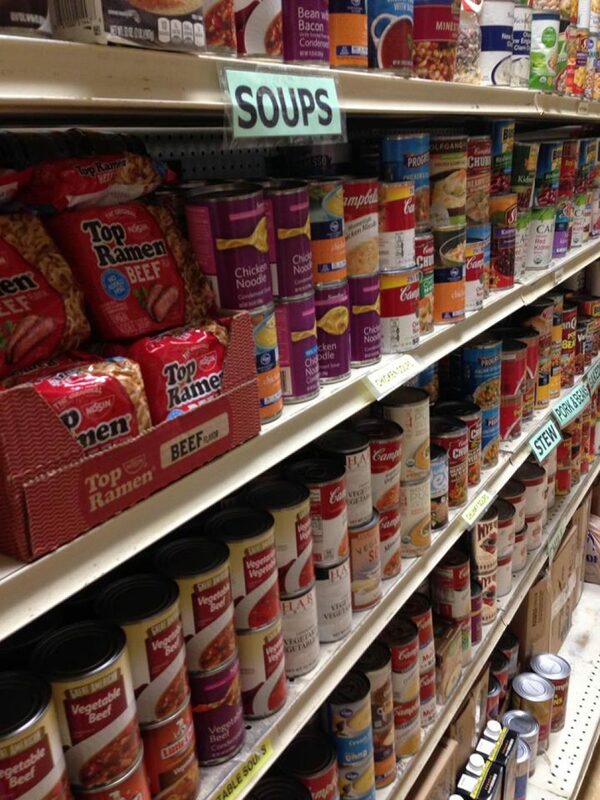 The Cupboard operates off of 100% private donation; receives no government funding. 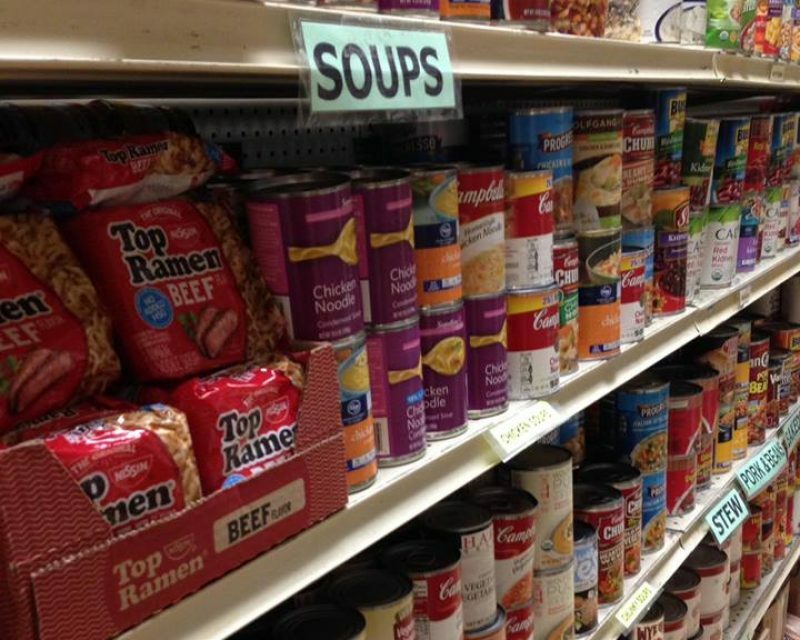 95% of monetary donations are used to purchase food. 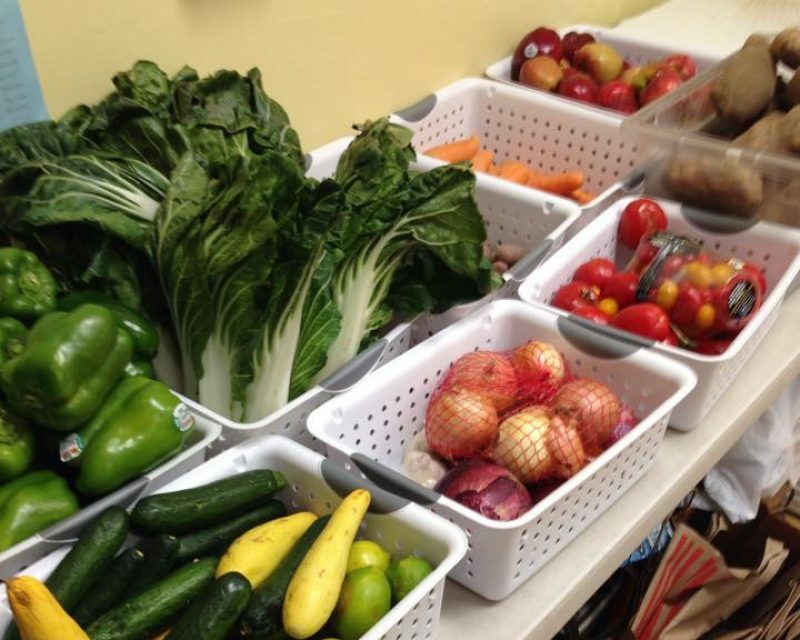 5,000+ people served annually.